We are working on a new project! Along with a link to said project, dubbed Battlerite. 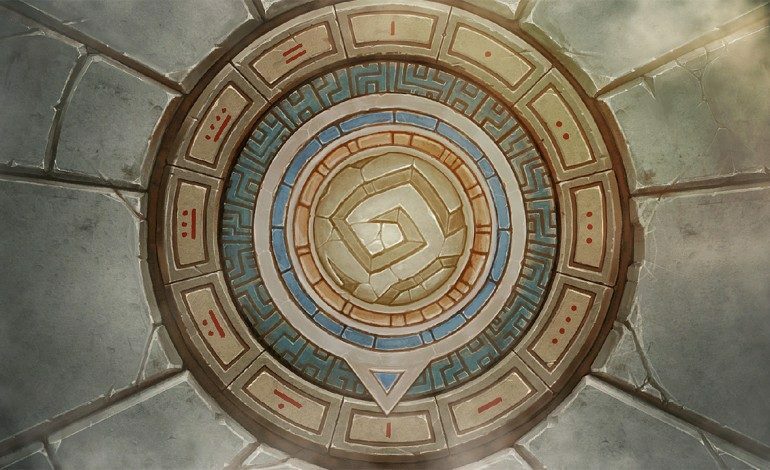 Heading to the Battlerite website confronts you with a mysterious stone dial, shrouded in mist, with what appears to be Mayan numerals (oddly accompanied by a “1” and a “5”) etched along its perimeter. The dial will turn to one of these numbers, flash green or red, then turn to another number. There are two “parts” to this puzzle as well, with each “part” link seemingly possessing its own cryptogram combination. Battlerite also has its own Twitter, though the only piece of content posted on it so far is the aforementioned dial puzzle. Others claim that the dial follows a particular melody that may hide its own brand of secrets. Whatever the methods to crack the dial’s code may be, Battlerite is drumming up an invigorating within the Bloodline Champions community that will only grow more mysterious as time goes on. Founded in 2010, Stunlock Studios strives to deliver rich, competitive gaming experiences that draw on elements from classic games. While Bloodline Champions doesn’t enjoy nearly the same degree of success as it did at its inception, it continues to chug along to this day, thanks to its small but tightly-knit and dedicated playerbase. In Bloodline Champions, players form teams and compete in cooperative arena-based combat, while viewing the playing field from an overhead perspective. While character movement, skill shots, and ability usage resemble those found in RTS games and MOBAs, BLC’s system mechanics and grand strategy incorporate elements from games like Street Fighter and World of Warcraft’s Arena game mode. Each character also boasts his or her own intricate toolkit that weaves together a variety of subsystems to create unique gameplay styles. Given Stunlock’s past expertise with arena-based games, can we expect Battlerite to follow a similar format? Only time (and potential leaks) will tell. For now, the Battlerite cryptogram will merely offer us clues for what’s to come – and leave Stunlock fans hungry for more.